Instead of ripping up your floor, or pulling up the laminate flooring, why not call us? 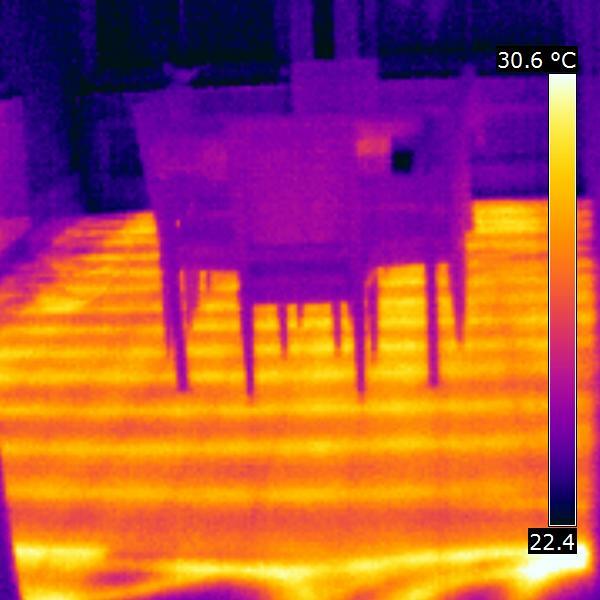 We can attend within 48 hours of your call and carry out simple non-destructive thermal imaging underfloor heating leak detection to determine where the point of water loss is situated. 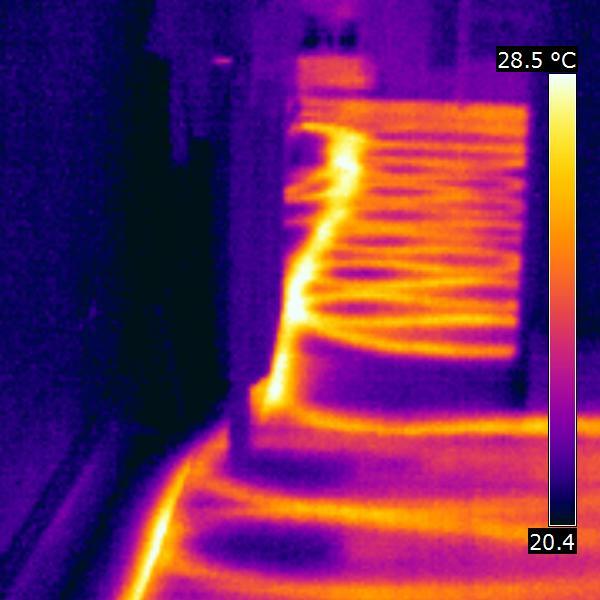 Leak detection has come a long way and using thermal imaging, we can view the energy leaving the pipes under your floor, and document where any abnormalities are observed. 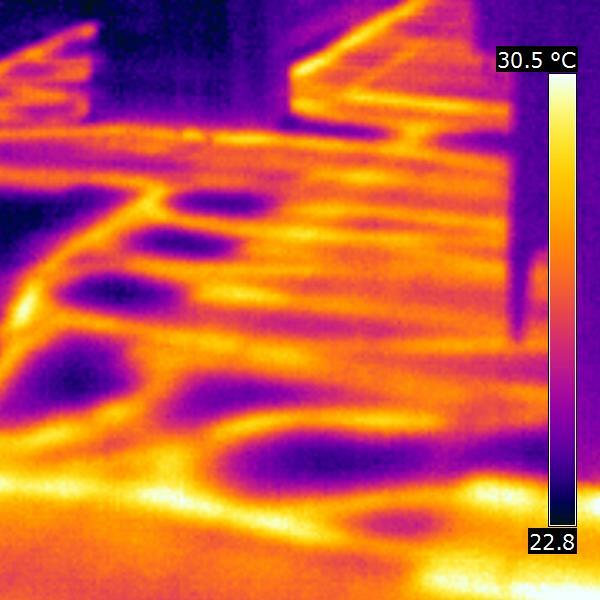 Abnormalities such as hot or cold spots in your underfloor heating pipes can help us establish where your underfloor heating leak is, or where the water from the leak is pooling. There is little more annoying than knowing you have a pressure drop in your underfloor heating system, and not knowing where the water is escaping. You might not even be able to see the water damage! We are here to help with our non-destructive thermal imaging and ultrasound leak detection methods. We will attend and make note of the floor using thermal imaging. We will then fire up your central heating system as usual and get some heat flowing through your pipes. We can then monitor and compare to see whether any hot or cold spots develop. We will then analyse the images and provide you with a report. In some instances, we will mark on the floor with a dry wipe board pen the point where the leak is occurring so that you can get your favoured plumber (or even us!) to fix it for you. Contact us today on 0774337384 to discuss how we can help find your underfloor heating leak.